Mercury enters Pisces on February 5 remaining there through February 23rd. Mercury in Pisces brings out the mystic in all of us and adds color and flare to the imagination in relayed messages. It’s a good time to immerse one’s self in creative writing and music and to open up the channels to the spirit world allowing for messages from the other side to penetrate our psyches. This is a good time to listen, and learn from the guides of our choosing. Sometimes the voice of sense and reason needs to give over to the simplicity of just listening in silence. Mercury in Pisces is square to Jupiter in Gemini. While this aspect is occurring, it may be best to hold off on a job request, asking for a raise or signing any binding contracts concerning long term investment and payment schedules. This may be an especially difficult time to communicate during travels with loved ones, and it may also be difficult to communicate when raising subjects about matters involving properties or valuable commodities. This aspect has a tendency to create expensive misunderstandings when it comes to large scale investments and bank loans are most likely to be a large hassle at this time. Mars, the planet of activity and action is conjunct Neptune, the planet of mysticism and spiritual bounty. There is mysticism, romance and adventure in the air with this conjunction. This will add a special and very spiritual quality to the activities of spring. Mars comes on very strong, directing the forces of our actions while Neptune enhances a deeper, more dramatic spiritual awareness. This is a time to be especially careful not to overindulge in strong beverages, rich fatty foods, drugs, chemicals, anesthetics etc. It’s an important time to ensure one has the proper nutrients. Mars conjunct Neptune brings an active openness to rise above the unimportant mundane concerns with heightened awareness. Aries: Don’t be surprised if your usual energy, drive and motivation take a bit of a dive this week. The universe still wants you to participate, but it also wants you to not burn yourself out in the process. If you overdo it you could find yourself laid up nursing a cold or some other ailment to remind you that your body periodically needs to catch up on its rest. The best use of the current energies would be to turn within and nourish your soul and spirit. Use your dreams to signpost the way forward, or you could nurture your inner self through meditation, yoga or other spiritual pursuits. Time spent with friends and on social endeavors will also be beneficial for you. Just remember not to overdo it. Taurus: This week there is an emphasis on your direction and vocation. Where do you want to be going and what do you want to do? Use your imagination to conjure up your ideal scenario and play around with ideas. When you have imaged where you would like to be in your life, you can start to take action and visualize your desires coming to fruition. This is a time for forward movement and considerable success can be achieved if you have a goal and work toward it Remember though, too much work and no play makes for a dull person, so try to take time out for fun and enjoyment. At the very least, try to adopt a more relaxed, playful attitude in your work and life goals. Gemini: Adventure and optimism are your themes for this week, and to make the most of the positive planetary energy, you should contemplate your dream or your big idea and begin making plans to turn it into a reality. Remember that with Jupiter in your sign until summer you have a once in a twelve year opportunity to turn your life around and do more of what brings you joy and happiness. If you don’t feel you’re currently growing and changing, then there is still work to do and February is the perfect month to start moving things forward. Mars entering your house of success and achievement on Monday means that you’ll have energy and determination to devote to your career or life path, and if you allow your intuitive feelings to guide you, you won’t go far wrong. Cancer: In some way, shape or form, it’s time for a new life. Perhaps this means that you will emerge from a testing situation renewed, changed and transformed. Maybe it means that you are ready to make big changes or that you are embarking on a new phase of life. Your chart indicates that you are emerging from a dark tunnel and moving out into the light. It is time to realize that you have the power to create or heal just about any situation. It’s time to become more empowered, so this week take charge and tell yourself that you can do it. Leo: You may need to remind yourself this week that Rome wasn’t built in a day and taking a moment-to-moment approach will work better this week as opposed to last week, than rushing or trying to do too much. If you don’t want to put your physical body under strain, pace yourself and do no more than you need to. Since the Sun is in your partnership zone, why not try to join forces with others, or at least ask for some assistance? You will work better with others now and get better results from working in partnership than trying to do everything on your own. Virgo: How can you function more efficiently in your daily life? How can you make your life easier and feel more on top of things? 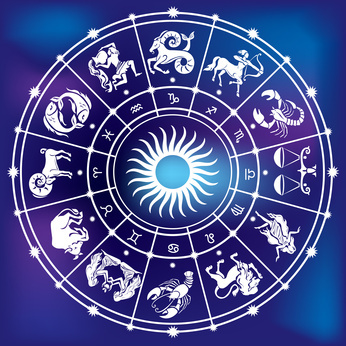 As a Virgo, you already understand the benefits of being organized, so you probably won’t need much encouragement to sort out the growing pile of paperwork, the drawer that needs de-cluttering, or the old files that are clogging up your computer. Or you may feel that the clearing out and organizing applies more to your body and if so, a change or improvement in your diet, lifestyle or exercise regimen would be helpful. What may also be beneficial to your life is the release of any suppressed emotions. Now is the ideal time to clear out not just your physical clutter but your emotional garbage too. Libra: Get out of your head and into your heart –that’s the message from the planets this week as they align in your zone of fun, love and creativity. It’s time –temporarily, at least –to forget your cares and focus on enjoyment. There should be plenty of opportunities for lighthearted pursuits, and it won’t do you any harm to make a few of your own opportunities. Be on the lookout for chances to do activities you love, and take every opportunity to see the funny side of life. You may also feel the need to flex your creative muscles, so whether you enjoy writing, painting, photography, dancing, cooking or crafts, don’t make excuses about not having the time, money or talent. To not be creative is a great waste of time and of your gifts, so get busy doing what you love. Scorpio: To have Saturn traversing your sign can feel like an uphill struggle at times, so you need to take whatever time you can to nurture yourself. Otherwise this could be the point where your health collapses, or alternatively, you act in an unpredictable way that leaves other people feeling unsettled. Actually, there’s nothing wrong with being a bit rebellious if it enables you to break free from a limiting situation. Perhaps you need to shake things up a bit and make one or two changes. What you don’t want to do is carry on putting up with an unsatisfactory situation. Your home, family, or personal life is where you may need to take an honest look. Sagittarius: Your motto for this week is this: You can if you think you can! Actually, the bigger the challenge, the better, since you will be more than able to rise to the occasion. You’re likely to be feeling bold, adventurous and just a little invincible, so just be careful that you don’t promise more than you can deliver. So long as you combine your optimistic spirit with a dash of realism, the sky’s your limit this week. You should also find that others are only too happy to help you, and there could be a lucky break or opportunity that comes as a result of your interactions with others, so remember to treat everyone you meet as your long lost friends. Capricorn: If your financial situation could be better, then this is a good week to generate some ideas as to how you can improve things. As well as being more able to think of ways to solve any material problems, you’re also more likely to be feeling determined, so any ideas that you have are likely to be backed up with considerable energy and resolve. In addition to thinking practically, your inner voice and imagination are also strong at present, so allow yourself to daydream the answers. It’s surprising how often our daydreams contain the seeds of something valuable, and they’re often a clue to what we would really benefit from doing. Let your mind wander and see where it takes you. Aquarius: As the Sun, Venus and Mercury all journey through your sign, this is an ideal time for new beginnings. Perhaps those new beginnings are happening of their own accord and there’s little you need to do other than go with the flow, but what if you like the idea of something new or a change of scene, but feel that it’s up to you yourself to create it? Well, perhaps you could go to a new class, workshop, or group. The chances are high that you would not only enjoy the experience but that you’d also meet influential people or make a new friend who would be helpful to you. If you’d like a new job, then polish your resume or take the first steps to starting the business you’ve been thinking about. If you have an idea or an intuitive urge, act on it. This isn’t the month to hesitate or play safe, so take a leap of faith and go for what you want. Pisces: Big changes might be coming your way, but for now, conserve your energy and trust any impulses to rest and retreat, since you are gathering your strength for the activity soon to come. Although you may find it difficult to be organized right now, if you want to achieve something, you will need to muster up some discipline and do the necessary work. It may feel more tempting to take a shortcut or to not put the extra hours in and go for a long lunch instead, but it seems as though the universe wants you to manifest something right now, so combine your gentle, intuitive "go with the flow" approach with a little consistency and disciplined effort, and you will do what you need to do. Sun 01° Taurus 12' 32"
Moon 29° Scorpio 14' 35"
Mercury 05° Aries 38' 41"
Venus 01° Aries 08' 02"
Mars 14° Gemini 03' 21"